Over the years, I have worked for all sorts of companies as an interim director, marketing coordinator or just-do-it’er. Whether this meant temporarily heading up a department in an international corporation or minding the show in the owner’s absence for a while, it was never a role I, as the owner of Business-Sitter, took lightly. Looking after someone’s business, or the business of that business, necessarily puts a person in a position of trust and confidentiality. Taking on a new business takes some frank discussions and a willingness by the boss to have someone else shoulder the responsibilities for a while. That’s why the tag line It’s your business, let’s keep it that way made so much sense. Little did I know that one day I’d be fighting under just that banner. 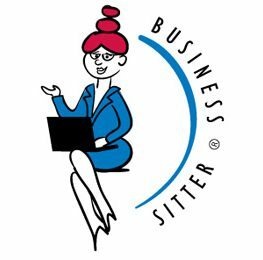 At the turn of the century I ventured forth and laid claim to the name Business-Sitter.com and have been the proud owner of the trademark and URL ever since. I have occasionally run into flatterers who liked the sound of it so much that they tried to use it, too, but I was determined to hold onto a name that set my business apart. Earlier this month I renewed the domain name, paid for it and carried on as usual. Then on Friday my emails stopped working and my website disappeared; the site behind my URL was now a hosting mask. I was more than a little concerned and set about contacting my domain registrar (Freeparking.co.uk) to find out what had gone wrong. On their website was the clear confirmation that the renewal had gone through, yet a WhoIs query indicated that the domain had expired and a new registrar, by the name of Melbourne IT, had updated the account in their name. It’s the weekend, and despite claims about 24/7 telephone support, I have been unable to establish human contact with Oz. In the meantime there are outstanding support tickets, tweets, requests for a call back and an email to file a WhoIs Problem Report. So far I have invested about a dozen hours on the track of this story and in updating my email address for all my contacts and online life. It’s astonishing how many people and services can no longer access me at my rightful email address and how long it has taken for me to put out some of the most urgent fires. The hours are clocking up, but it’s my business, and I’m going to keep it that way.